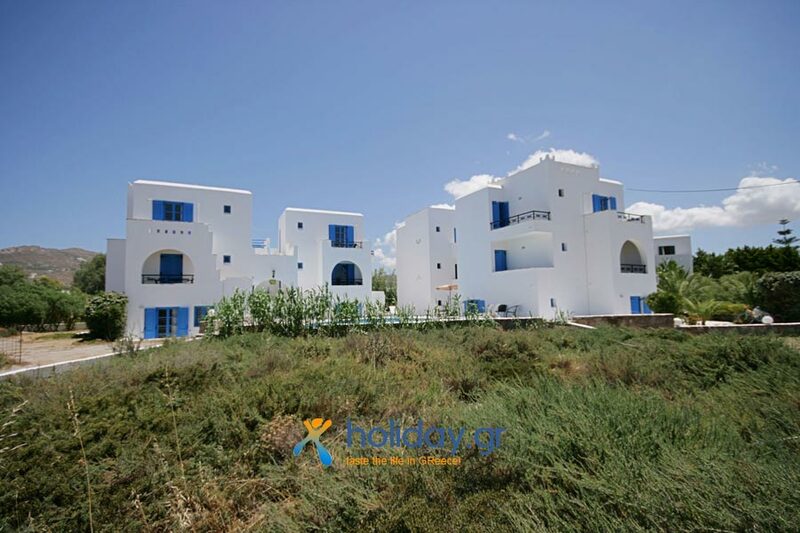 Sunny Beach Studios complex is situated just 50m from the central and beautiful beach of Agios Georgios in a peaceful place, 800m from the center of the Town of Naxos island Greece. 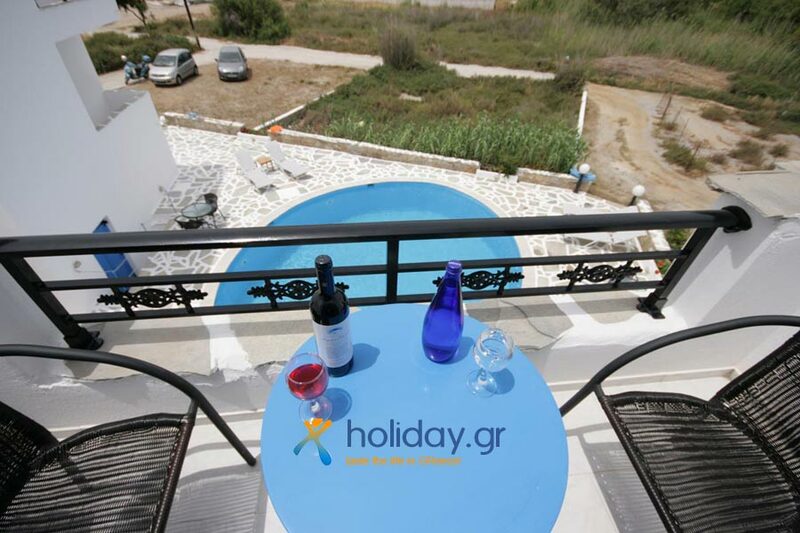 Also private parking, garden and swimming pool are available facilities. After a delicious buffet breakfast, served daily, our guests can go to the beach or walk to Naxos town where they can find several shops, banks, restaurants, cafeterias, etc. 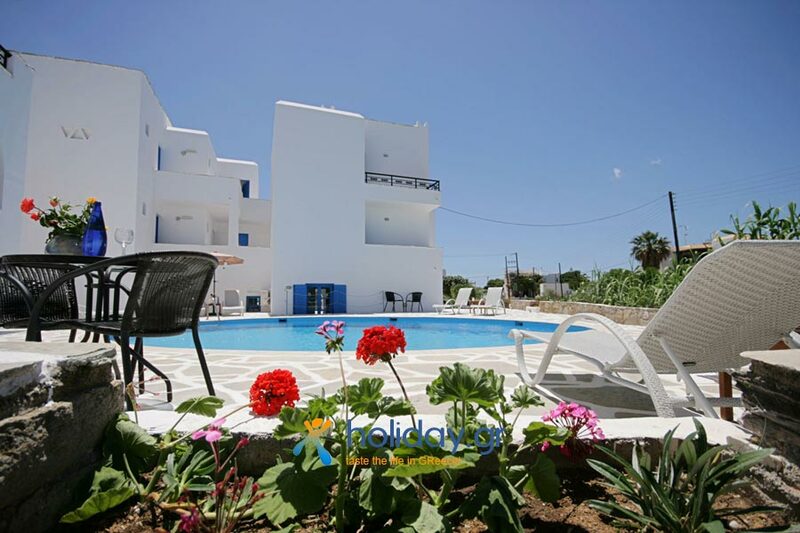 The complex is one of the Naxos hotels runned by family members who help create a warm and friendly atmosphere that keeps our guests returning year after year. Sunny Beach Studios since 1995 it offer low cost holidays. 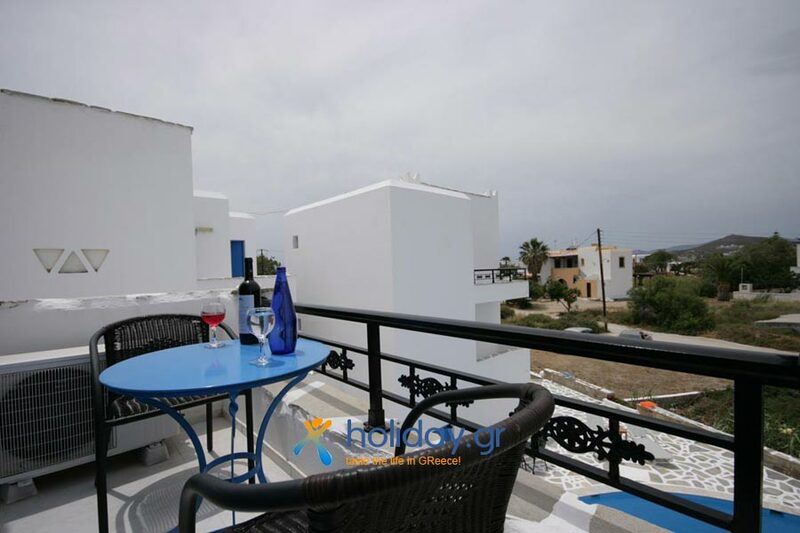 After the recent renovation (2013) it will definitely suit your needs. Sunny Beach Studios offer accommodation in single, double (double or twin bedded) and triple (with a double and a single bed or with three single beds) rooms with air-conditioning, safe deposit box, fridge, direct phone line and internet, satellite TV, private balcony, private toilet, hair-dryer and shower.